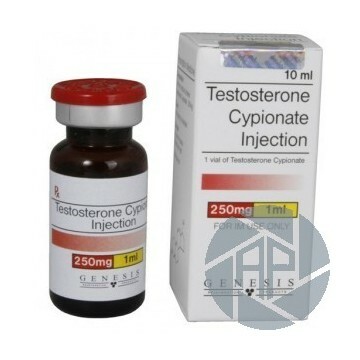 Testosterone cypionate injection is an anabolic steroid, ether natural testosterone. Different duration of up to two weeks after injection, a powerful anabolic, and androgenic properties. This mode of action similar to the action of another popular steroid testosterone ester - enanthate. Cypionate has a faster inclusion at work, the highest concentration achieved in the first days after administration. This fluid retention, opinions, less pronounced. In general, the properties of this injectable steroid gives the athlete a significant increase in mass and strength, and strengthens bones, reduces stress on joints and increases appetite. This hormone ester is known since the 1950s and was more popular in the US until now. Distribution in Europe was relatively short time. Initially used in medicine for the treatment of breast cancer. In bodybuilding cypionate products are distributed by its anabolic properties, allowing them fast enough to gain weight as well as a potent androgen. The injectable form of this ester is an oil solution. Testosterone cypionate injection flavored quite quickly, and becomes androgenic effect is dihydrotestosterone which can lead to disorders such as acne and hair loss. It is also able to suppress testosterone production, recovered after drug discontinuation (necessary to carry out the post-therapy cycle). The main side effects testosterone cypionate easily avoided taking it antiestrogen drugs and post-cycle therapy. Common acne, excessive aggression, increased libido, body hair growth. In the case of overdose or negligence, antiestrogens may develop gynecomastia. The drug is more suitable for the low season due to the accumulation of water and can be used by beginners. Regarding value for money injection, it corresponds to its efficiency. For those who need a significant increase in mass and strength, this drug is the best choice, compared to testosterone enanthate injection. Cypionate esters are one of the most common. The reasons for its popularity hide in high efficiency. On the other hand, in the CIS market steroid in demand, it is unlikely to overcome propionate or enanthate. Still, they are among our compatriots they are best known and loved. The optimal dose for athletes is 250 to 500 mg per week for the duration of the course of one to three months. Practice shows that treatment as sufficient for a robust set of mass and strength, while the dose is relatively harmless to the body. Experienced athletes may use significant amounts of material (up to 750 mg or 1000 mg per week), but only on the needs and well tolerated. No excessive cypionate is recommended in any case. Testosterone cypionate dose should be selected for each athlete, depending on the level of your workout! Steroid use is common in different sports: track and weightlifting, bodybuilding, play and team sports like football or hockey. However, athletes using the drug is not recommended due to its high androgenic activity. Even small, seemingly doses can lead to unpleasant side effects - virilization. Virilization symptoms are harmless (increased hair growth on the body) and dangerous (violation of sexual activity). 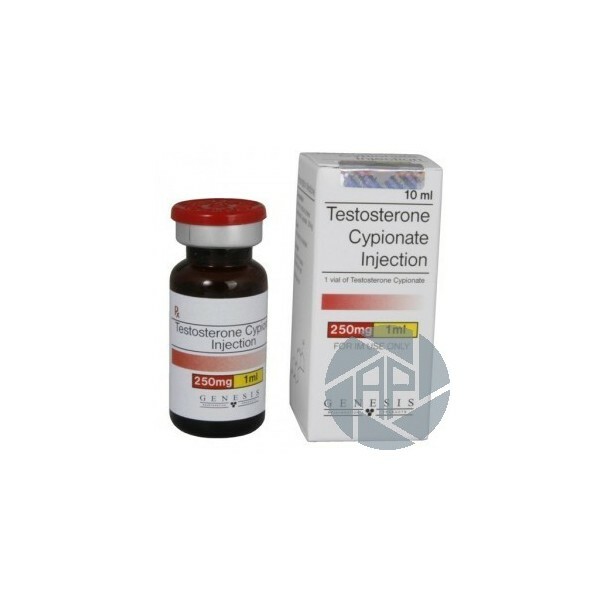 Buy testosterone cypionate and subsequently can be used not only alone. Its course is right with nandrolone or boldenone to enhance the anabolic effect. They are popular among athletes and ligaments with Winstrol (injectable stanozolol) Stanozolol (compressed stanozolol) or Danabol (as well as their counterparts from other manufacturers). Do not forget that during the course, and even more after that there may be a need for anti-estrogens and reducing natural testosterone preparations - Proviron and ongoing anastrozole, tamoxifen in the FCT. The opinions of the athletes who took the drug, confirm its high efficiency for a set of muscle mass and strength. Also, many athletes observe increased appetite during the course, which is important when the goal is weight gain. Comments testosterone cypionate injection will be useful for beginners and people who have not yet perform such injections. They will help you decide to purchase and to determine the dose. Without prejudice to key recommendations of the tests, the drug rarely causes side effects, but a positive trend is notable results quickly and well preserved - with appropriate output and FCT slight decline.